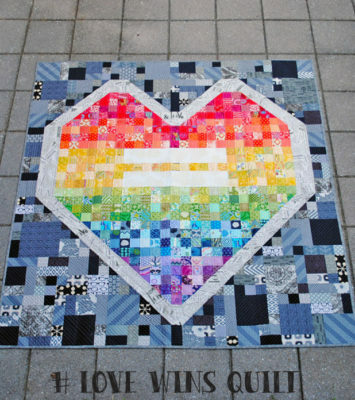 If you are a quilter and sewer and want to do something different to support the victims of the Pulse shooting, here is a way you can help. The Orlando Modern Quilt guild is collecting special quilts to give to the survivors and victims families. 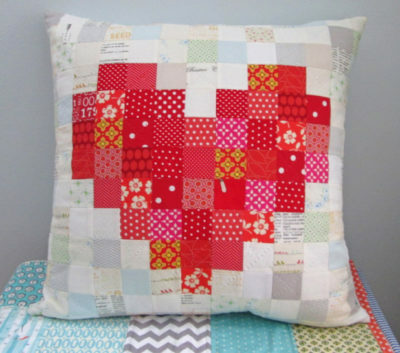 They are looking for donations of quilts that use hearts as the basis of the quilt. There are a ton of great tutorials for heart blocks in the link they provide below. 1. Where do I send this stuff? Please include a full sized piece of paper with your name, guild if a member (even not modern guilds! ), what you’ve sent, and location so that I can (attempt) to keep track of everyone who helps. 2. I’m not a member of a guild, can I still help?? Ummmm….YES! This is a project that I started so that anyone who isn’t scared of a sewing machine can do. I didn’t want it to just be our guild, as a matter of fact I’d love any and everyone who could possibly help, to do so. 3. What if I can’t make a whole quilt? Than make a block, even one block will help. Send in some binding, send some backing fabric, send some money (we will need it for postage as some victims families aren’t in the area), just repost or share in solidarity, give us a virtual high five or hug. It all helps. 4. I already have a quilt that is rainbow-y and made with love, can I send it? Do you seriously think I’m going to say no, don’t give me a quilt??!! Because I won’t. Send it. Please send it, we need a lot of quilts. While I offered a specific block, it was mostly bc of its size and simplicity so more people could take part in this. 5. Can I use a block other than the one you showed? By all means, do your thing. I chose the block so everyone could take part. I know there are plenty of heart blocks out there and feel free to use anything you’d like. I only ask that your quilt includes a heart or hearts of some sort, and that its mostly brights and/or rainbow. 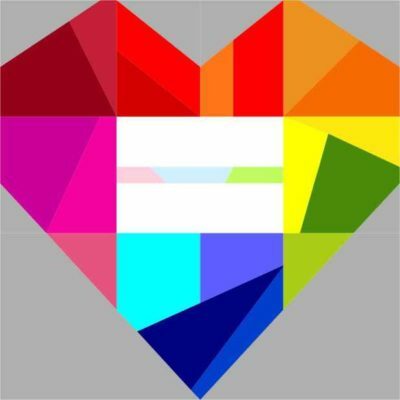 I chose brights and rainbow to represent not only the LGBT flag, but also ALL of the different people affected by the event. I also want them to be cheerful, and want the recipients to know that these are created with love, given with love, and in using them, they will be covered with love. I want them to be comforted knowing that even strangers care and that they did not go through this without the support of others. 6. How big should my quilt be? I’m asking for quilts no smaller than 48×60, and no larger than a twin sized. If you’re off a smidge, please don’t worry. The quilt police wont throw your quilt back at you and tell you you’re horrible. We will accept them all. I just don’t want some people to get small lap quilts, and some to get queen sized monstrosities. 7. Whats the due date? We are asking for blocks to be sent BY August 15th. We will need what is most likely a LOT of time to sew all these blocks together, so the sooner we get them, the better! Finished quilts obviously take a bit longer and we are asking for those by September 15th. 8. Where are these things going? My original thought was to the survivors in the hospital. Than it grew and I thought maybe to the victims families as well. Now I think we will have enough to even give to first responders that were on the scene, police officers, nurses, doctors, hopefully anyone that wants one. If there are leftovers, they will be given to either The Center, an LGBT community center who is pretty much ground zero for the help, and also the Zebra Coalition who focuses their efforts on LGBT youth. Hopefully any and everyone affected will receive a quilt if they want one. We are still making contacts, so if you are personally affected by this please email me at alissalapinsky@gmail.com so we can work to get one to you! 9. Anything else I should know?? Our mothership, The (national) Modern Quilt Guild has compiled a nifty information page for us that they have shared with all their members, and it includes some other blocks that may inspire you as well as a few forms. One form is to fill out if you’re planning on sending so we have at least a vague idea of how many blocks/quilts we will be receiving, and one is a form that you can fill out to send in with your submission. So please consider donating to this amazing cause. Every bit of love we can give to the survivors and victims families will help. 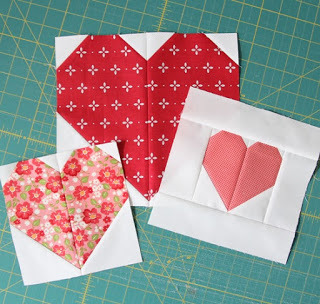 If you would like to donate blocks or fabric and send a bundle of quilts from Craft Hackers you can contact me at tnitnetny@yahoo.com for my address to send them. « Remake your Shoes Anew!